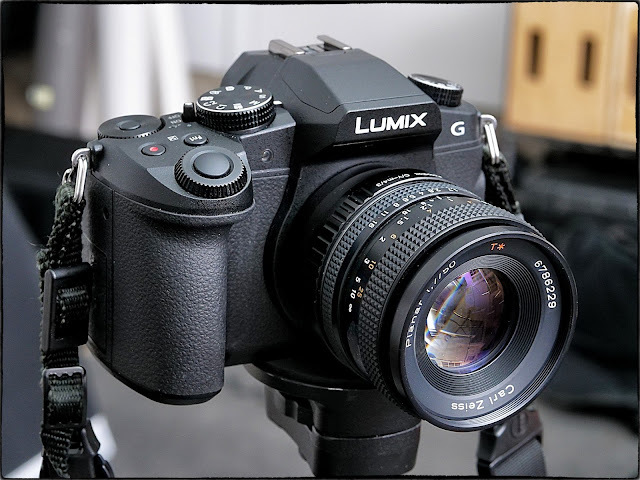 A VSL reader asked how I adapted a 50mm Carl Zeiss lens to my Panasonic G85. A quick explanation. The Contax 50mm f1.7 Planar, made for the Contax Y/C manual focus mount is widely regarded as a stellar normal lens for full frame, 35mm format cameras. I bought a copy over a year ago and used it frequently on a Sony A7Rii, a Sony A7ii and a Sony A6300, all with great results. While I recently dumped the Sony cameras I was not foolish enough to get rid of the little collection of Contax Y/C lenses I've acquired. Shortly after taking delivery of the twin GH5s I ordered a Fotodiox branded Contax Y/C to micro four thirds lens adapter. 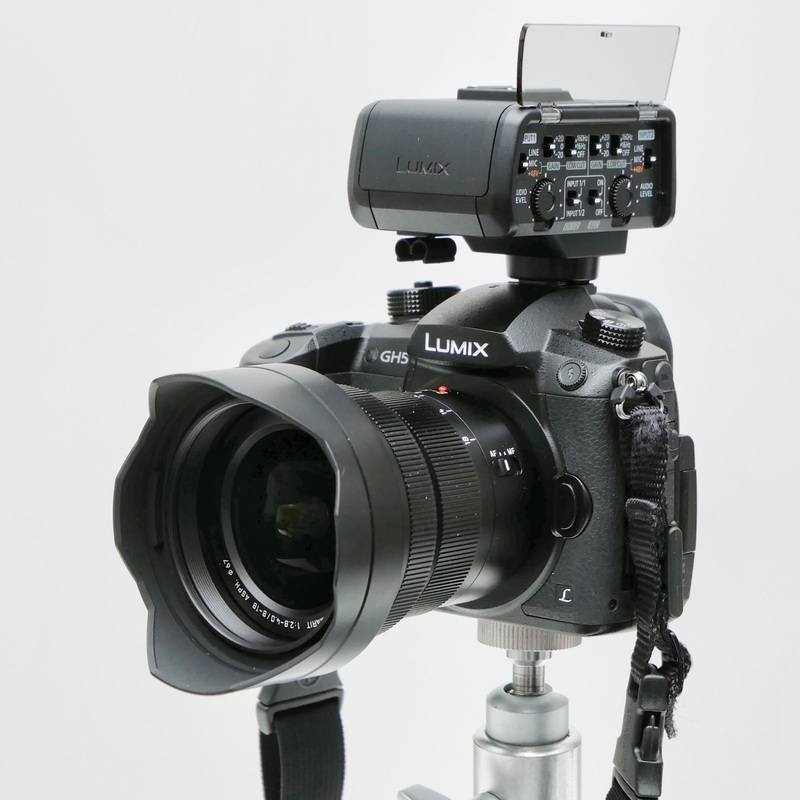 It cost me about $20 and allows me to use the 50mm f1.7 lens on any micro four thirds camera. This is a great thing but comes with several caveats. First, I have no real way of knowing just how precise and absolutely planar the mount might be. I am taking a leap of faith that this sort of machining should be child's play in an age of unprecedented precision. I taped up the graph paper on the wall and lined up the camera as well as I could and tried to look for softness in one corner or another. Nothing leapt out at me as horrifyingly out of whack. The second thing you need to be aware of is that for $20 you are NOT getting a Metabones smart adapter, you are getting a totally dumb adapter. This means that the camera can't record any metadata for the lens you have attached, won't know the focal length, won't know the aperture at which you are using the lens and ----- absolutely won't autofocus the lens for you. Most of these things don't matter to me but may be very, very important to you. A quick and positive observation about Adobe Lightroom's handling of Panasonic GH5 raw files. I was photographing for a client yesterday, a law firm in downtown Austin, and we were shooting people images for their website re-design. One of the partners who is taking the lead on the project asked me to shoot all of the portraits (both set up and candid) as squares. I was more than happy to accommodate his request but I was preparing myself for the usual task of re-cropping the images in post production. With past camera systems having the ability to crop square in the finder meant that your Jpegs opened up in your post processing program as genuine squares but the raw files opened "full gate" and had little lines to indicate the square crops that you thought you wanted. This meant that each raw file had to be handled and cropped individually.